There are many things that inspired this blog to be created – I’ll get to some of those in the following weeks – but two recent events really stood out. The first was an article on Facebook. I follow many, many travel related pages on social media; I’ve always loved the idea of travelling the world. When I was a kid, my favourite books were ones in which the heroes journeyed across the globe, from the Amazon to Africa, from the South Seas to India. 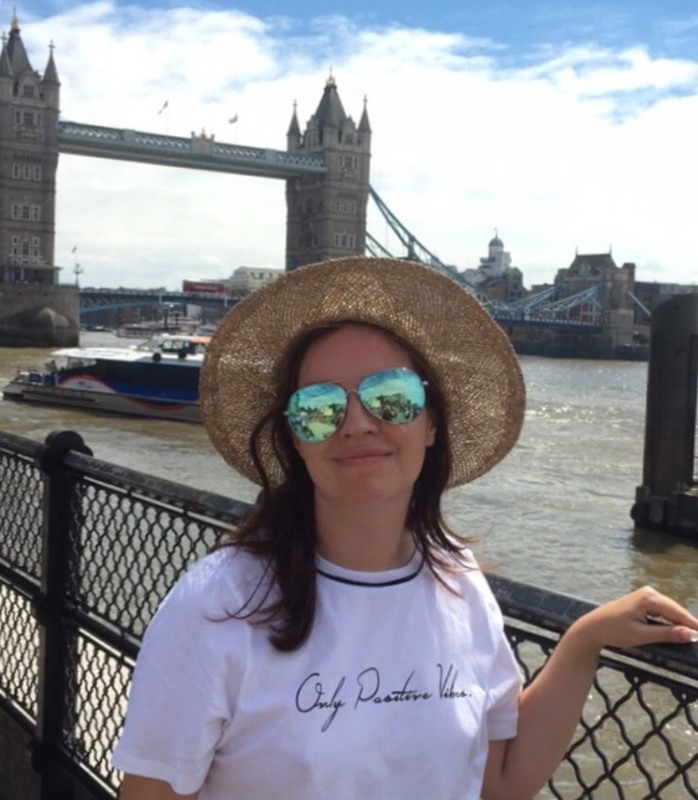 Family holidays to Spain were spent pretending that I was an explorer in the Andes (the lack of llamas was saddening), but it fostered a burning desire to see all of these places for myself. I studied maps, including a huge road map of the USA that my brother had inexplicably posted to his bedroom wall. I moved on to reading Rough Guides and Lonely Planets from cover to cover, reading about places that I had no firm plans to actually visit, but telling myself that one day, those dreams would be a reality. I just had to get to adulthood, and all those places would be within reach. There was just one problem with this. I’ve always been shy, to the point of babbling awkwardly when unexpectedly thrust into social situations. As I entered my twenties, this was joined by some severe anxiety, and the occasional panic attack. I developed nervous habits, quite self-destructive in nature, which I still struggle with. I constantly convinced myself that I was seriously ill; in 2009, I visited the doctor every month with a new ailment, none of which actually required treatment. This fostered some germophobic behaviour, such as compulsive hand washing, and a slight obsession with light switches, which had to be turned off ‘properly’ else I would be struck with bad luck, which led to me occasionally switching them on and off five times in succession (fortunately for my light bulbs, this has been beaten). But this made me completely unsuitable for the thing I’d previously loved most: travelling. Unless accompanied, I couldn’t bear the thought of being on a plane. What had previously been a glorious, shining chariot of holiday fun, became a deathtrap hurtling towards the ground, with my screaming form uselessly scrabbling at a window. Visions of friends and family mourning me went through my mind. The pilot episode of Lost really didn’t help with this. I cancelled trips. I booked them, ready to take the plunge back into travel, and cancelled them. I lost £1500 cancelling a dream trip to the US a week before the departure, because I couldn’t face the flight. I instead became an armchair traveller, reading the Lonely Planets and the travel magazines, dreaming of going to places I saw on Facebook and Twitter and Instagram. One day, I promised myself, knowing that I wouldn’t. The Facebook article was about traveller stereotypes. The article itself was standard enough, with the stereotypes we know and love: the business person seeking a lounge, the harassed parent, the student backpacker. I checked out the comments. The commenter I remember had a profile pic of themselves in front of some kind of vista, which was 90% obscured by a selfie pose – sunglasses, open mouth frozen in a “WOOOO!”, beanie hat, hand gesture. The comment was “that anxious traveller who looks like they’re about to puke, lol so funny!!”. There was a little chorus of ‘lol!’s in reply. My heart sank. Me. They were talking about people like me. The second event was in April 2017, the morning that I was due to fly to Italy for a week’s holiday. About ten minutes before the taxi to the airport was due to arrive, one of my party, who had been feeling a bit unwell for the past few days, decided that they weren’t fit to travel. Rather than the rest of us go, we cancelled the whole thing as it didn’t feel right to go on holiday with one left sick and alone. Previously when I’d cancelled trips due to my anxiety, I’d been able to rationalise it in my head – the plane was surely bound to crash! (they never did, thankfully.) I was bound to be ill! It was bound to be a disaster! This time, something I’d been looking forward to was taken away due to something beyond my control; I realised for the first time just how much it sucked. I was bitterly disappointed, but at the same time, I felt strangely relieved. I didn’t have to go through the anxiety of the plane journey, or packing, or talking to strangers. The realisation of that made me feel even worse. My anxiety had been working away under the surface, blocking me from really looking forward to the trip. This would not do. In such an uncertain world, who could say how many more opportunities I’d get to travel? How long could my travel dream stay something that I’d do ‘in the future’, before it became an official ‘regret’? Did I want to reach a point where something could happen making me suddenly unable to travel, even if I wanted to? I’ve started looking into travel again. And that’s what’s caused this blog to be born. I want this to push me into travelling, by having something that I enjoy writing and updating, pushing me to go further. It’ll start with baby steps, getting back into the comfort zone, whilst still challenging myself. I want to end up backpacking somewhere far away, where I can’t speak the language, and still being able to think “I’m ok” to myself. I want other people who are in the same situation to read it, and think ‘if she can do it, so can I’. I want people who cannot travel, whether for financial or medical reasons, to be able to read this and enjoy the journey. I want people who’ve beaten their anxieties to come here and share their experiences with the rest of us. And I want people who’ve never experienced travel fears to be able to come here, and see what it’s like, to understand and be able to help when they see another traveller going through it. 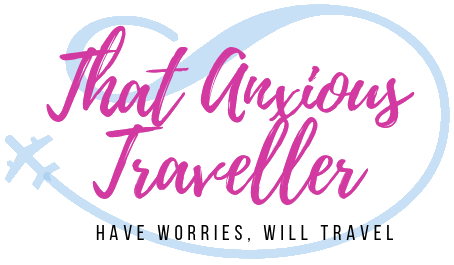 We can all be ‘that anxious traveller’. But we don’t have to stay that way. Since you are a fellow travel enthusiast , do check out my first travel blogposts.